RICHFIELDS aimed to design a consumer-data platform to connect, compare and share information about food behaviours, revolutionising research on everyday choices made across Europe. In partnership with the Food Nutrition & Health Research Infrastructure (FNH-RI) they are organizing their final event in Brussels on 18 September 2018. The event brings together RICHFIELDS’ organisations and stakeholders to discuss the outcomes of the project and how these support the plans for the new European FNH-RI. RICHFIELDS has sought to determine what facilities, resources and services can support research to learn more about what we choose to eat, and how and why we make those choices. FNH-RI aims to develop a top-level e-research infrastructure that enables scientists to link and exploit public-, private- and citizen-generated research data. This will be achieved through a series of measurements including new and advanced tools for data generation, and harmonisation and standardisation of data, enabling improved sharing of data and supporting information. 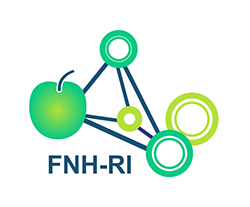 FNH-RI will provide scientific services that enable users – including policy-makers, government, NGOs, food industries large and small (SMEs), farmers and consumers – to make informed decisions, supporting health and a more sustainable society. RICHFIELDS is a building block for the FNH-RI.